For non-Japanese speakers, we can distribute original hardwares with following prices which is excluded shipping fee. If you have a question, please contact. Send me order mail filled your name and address or use hardware order form, ordering hardwares, also how to ship. You can select how to ship. EMS and e-packet shipping service is available. International shipping is available. E-packet and EMS are available. Please select how to ship as the followings. Paypal is available. We will send you the invoice after prepared the parcel. French Chrono post company specified to express mail service provides wrong service for EMS shipping. We have many troubles in this company. Consequently we will send to french user by SAL shipping. SAL shipping is provided by La post instead of chrono post. Including PCB and AVR MCU written with firmware, electric parts. This kit is not soldered. You need to solder. 3.3V type for mbed is now for sale. Please contact. This product is soldered. If you can't solder, this product is recomended. DSmain is all-in-one hardware including Arduino nano compatible board, S88 I/F. If you have USb cable, DC power supply, feeder wire, PC, you can play immediately. 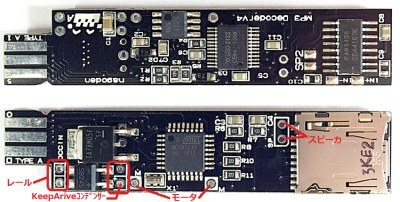 We can provide you soldered version and not soldered version. This boards fits ALTOIDS mint tin. 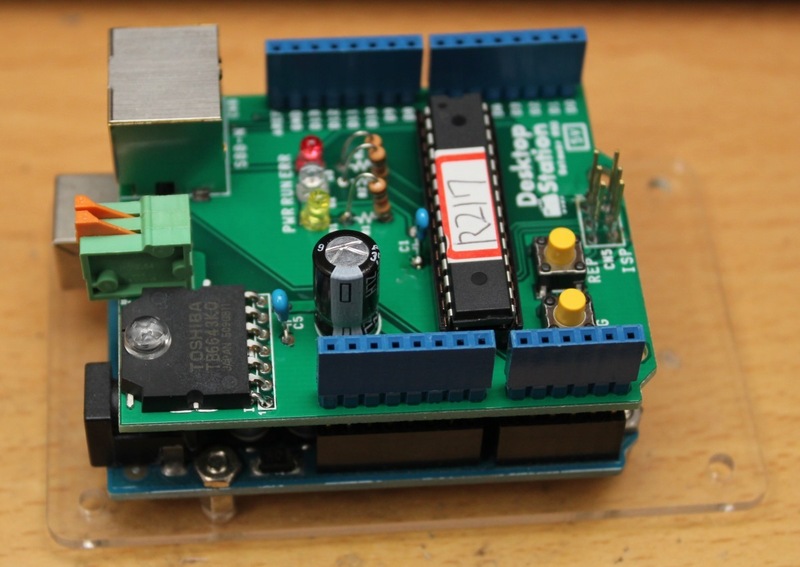 This device can control DCC locomotives easily. This kit is not including mint tin. Desktop Station is certified distributor from Nagoden! MP3 Sound Decoder is the cheapest sound decoder in the world. 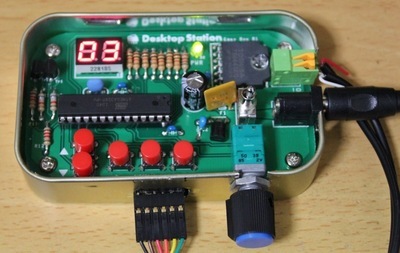 You need microSD card(2-32GB) and wiring rail and speaker, keep alive capacitor.